The commencement of goal-driven hard work and perseverance, graduation is an important event that will always be remembered. 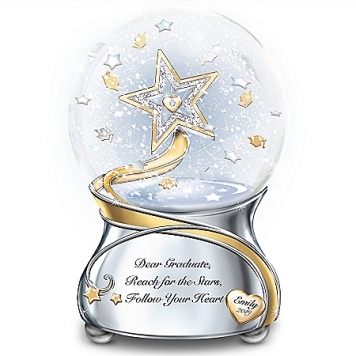 Now, you can inspire your graduate to go even further with this meaningful personalized graduate glitter globe. Available only from The Bradford Exchange in a limited edition, the Dear Graduate Reach for the Stars Personalized Glitter Globe is a beautiful custom tribute that is elegantly etched with your graduate’s name and year of commencement to create a one-of-a-kind graduation gift that will always be cherished.With just a gentle shake, this beautiful graduate water globe creates a sense of accomplishment and wonder, with silvery and golden graduation caps swirling around inside. Its silvery base showcases a dramatic golden swirl design that continues inside the globe, and crowning with a sparkling simulated-jewel star and a dangling golden heart. Plus, the base is gracefully inscribed with an inspiring sentiment, right next to the personalized heart, along with a poem card. For the perfect finishing touch, your personalized graduate glitter globe plays “Pomp and Circumstance,” a constant reminder of their big day. 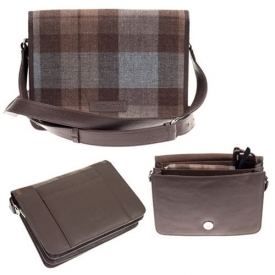 Strong demand is expected, so don’t wait to customize one for your graduate. Order now!